There we are together. The last day of the retreat, October 24, after walking through each and every conversation we’ve had during our Why Coaching Days since we began the journey together in January of 2013. The topics alone were big, but what came out of them was even bigger. My favorite was, “You Must Be What You Want From The World” – just let that one sink in for a minute, remind yourself and then pull out your Action Plan from that day 22 months ago. I wrote down a few things that impacted me getting where I am today: (1) the work I’ve done with the support of my life coach; (2) working with the best estate planning attorneys nationally alongside their teams, sharing and growing TOGETHER (our members really move me); (3) the daily inspiration I get from my three boys. So I put those things into play via a “Freedom Cycle” activity onto my LWP Progress Focuser to carry over to another tool that I’ll get to in a bit. Next we had an internal reflections exercise. They’re necessary when you look at where you are; they may not be always fun to play with, but they ALWAYS provide opportunities to grow. My insights were: (1) stop trying to add value at the risk of dampening commitments and adding my own .02 in every conversation; (2) pay attention to others’ behaviors more during conversations; (3) work on my “winning” and “excuses” mindset when I need to get er’ done. All of this was contained within one booklet that is in front of me DAILY. I’ve completed an Idea Focuser for each one based on my insights. I’ve set a goal, written down how I’m going to measure progress, and I know the benefits, my obstacles, and the contribution to others and myself. The strategies are written down that I will use to overcome obstacles, along with the next action and the “by when” date. During this process, it hit me that I’ve been tabling a goal of mine for “reasons,” and all I need to do is put time in my calendar, and not let it get trumped by ANYTHING, to fuel my inner Quick Start/Follow Through. So, I added that to the agenda for our Board of Directors meeting to make 100% sure someone was holding me accountable week in and week out to get it done. And that was just the first thing I added to my Future Focuser. There are four more that are a blend of personal and professional goals in front of me daily, to hit by February 2014, when I will be back in the room with LWP, our members and their team in Charlotte! I can't wait. It'll be a lot to work on between now and then - but I'm taking it all one step at a time. With today and where I am now.... I can't wait to look back in February 2015. Let me know what you’ve DECIDED that will enable you to live a life you love! You can email me at rdrotar@lawyerswithpurpose.com or comment below. If you would like go through the Why Day Power Point "What Got You Here Won't Get You There" click here. And if you are interested in any of the tools we used that I mentioned, feel free to email Molly Hall at mhall@lawyerswithpurpose.com. Here’s a little secret for creating the life and business you want: STOP apologizing. Stop beating yourself up for wanting what you want and declaring it out loud. The above scenarios are all versions of Apologizing. Habit: Many of us were raised to be polite and put others first. Parents who teach taking responsibility for any problems or issues that come up, or who teach that apologizing is a form of politeness, will often breed over-apologizers. Sometimes a child will learn this just by witnessing one parent say “sorry” too much to others. This typically shows up with a pre- and post-qualifier of “I’m sorry” with really no statement or justification after it. These words just come out before and after almost every statement they make. “I’m sorry, but I didn’t find that funny.” They walk past you in the hall and say “I’m sorry” and you’re not even sure why or for what. Seeking Reassurance: You need to get community input before you take action. The idea was great at the time we declared it. I was clear on what was being asked of me and what I needed to do, but once I got back to my desk, it all went out the window. I began to second-guess myself and became paralyzed.This usually shows up with a pre-qualifier of, “Well, I needed to double-check with you before I started, because this one thing wasn’t totally clear…. People will persistently test your apology meter. Quite often it’s a byproduct of their own “stuff” when it comes to pursuing (or not) their own BHAGS (Big Hairy Audacious Goals). Don’t get caught up in living your life through the lens of others’ habits and limiting beliefs. Most often they are completely unaware of them. Let me know how you make out; I would love to hear from you. There is absolutely no substitute for sitting in a large conference room with people who do the same thing you do, day-after-day. They “get” your challenges because they face similar ones. And you missed out on brain storming and sharing ideas out on the patio or in the bar after meeting hours. You didn’t get a chance to sit down with your CC&I coach or your attorney mentor coach face-to-face to discuss what’s holding your team back or to celebrate your victories. Last, but certainly not least, you and your team missed out on the nine break-out sessions that covered subjects ranging from “Business Succession Planning” to “Busting Financial Advisory Myths.” Even if you DID make it to Phoenix, you’re only one person, right? Maybe you had to make hard choices about which break-out sessions you could attend and heard great things about the ones you missed. So far, three of the nine break-out sessions have been added to the member website, with another three scheduled to be uploaded later this week. What to do when the 1st spouse dies; what to do after the surviving spouse dies. A practical look at post-death administration issues. Walk away with a comprehensive nursing home/facility process, which you can go back and implement into your practice, immediately. Learn only what works (we’re saving you from the disastrous efforts) to not only get in the door to nursing homes, not only begin generating revenue, but quadrupling revenue & how to keep it going! Respond with confidence to common myths surrounding asset protection, irrevocable trusts, qualified funds, etc. Get the advisor off of their “default” setting and into strategic, client-centered planning. It is important to provide clear definition and understanding of roles. You’ve defined roles, now what? Learn how to take the role definition to the next level. Learn the skills needed to go beyond just making certain nothing falls through the cracks. Learn different approaches, regardless of the circumstances to create accountability AND work together at your team best! An advanced level legal-technical session – what to do when the business planning client already has a corporation structure (LLCs, S-Corps, C-Corps) – creating a business succession plan. Learn the 10 key features of the LWP-CCS Trust Drafting software and how to make them a multiplier to distinguish you in your Estate Planning community. The third of the “Conference Room” series - designed to give the team a look at what, exactly, occurs for the client during the key meetings. Team members will be better equipped to assist clients while they navigate the process, and can set expectations or answer questions directly. Attorneys who attend will learn how to delegate these meetings to their team. Take the next step in developing your communication skills; sharpen your saw with practical applications of MIFy™ and Power-in-Partnership™ including client meetings and team conversations. While you’re at it, take a look around the member website. We’ve been making changes to follow LWP processes more closely in the web layout. This should make it much easier for members to find tools and materials to support their practices. If you have comments or suggestions about the website layout, I’d love to hear them. Write me at ncatale@lawyerswithpurpose.com. Four weeks ago the LWP partners began our customary quarterly partners retreat at a Hyatt in Atlanta at 9 a.m. sharp. We began the day in customary fashion, after Dave ensured that we had a mealtime plan, by analyzing our quarterly goals. We carefully reviewed who is doing what to reach goal, our money plan from the previous quarter and then where we have nobody leading. Like all businesses, marketing was where the spotlight shined loud and clear. What I appreciate about our collective skill sets is how quickly we are able to shift from driver mode right into solution mode. We revisited hiring outside consultants, as we have done in the past. It would take at least six months to get them up and running; plus, how do we find someone who understands the dynamic of an estate and elder law firm vs. a hunt and kill mindset at all cost? At the end of the day we agreed that I would go full-time into marketing. I am naturally the best person to lead this, and the organization needs me to lead it, own it and nurture it. I finally GOT IT. I have been working with team members for 17 years, hearing the exact same words when their attorneys ask them to step up and replace themselves. I never fully understood what the root of the resistance was. Now I get it. So we resist, we justify that “they need me” and we attempt to control the situation, instead of investing in how we are going to become the next, better version of ourselves and create a better version of the business. Dang it, there it is again, that 2mm shift. But if we can detach from the logistics of how what we are currently doing will get done, and anchor to how we are going to step into our new role/world/life, the art of surrendering begins. As soon as I got on the plane, I got to work. I looked at what I am doing non-marketing-related and to whom I can responsibly shift it over. I quickly came up with a suggested transition plan. I pulled out our marketing plan, the money plan, and realized not only that I can do this, but that I am very much the best person for the job. I can do this, and I will do this. I sat for the next two hours and 20 minutes while trapped on the plane and mentally surrendered to letting go of what was, to allow the new reality to permeate, and to embrace the sense of excitement, along with a healthy level of challenge. That honestly is the process for giving up control and the art of surrendering. It’s simply one small step (emotions, logistics and movement) at a time. And then you can course a realistic present and a future path and plan. Eventually you find your new normal. And that’s really the story of growth. The term “leadership” is all the rage on social media these days – and it is definitely on most entrepreneurs’ wish lists. Yet when I ask people what leadership means to them, I often hear some multifaceted variation that’s equivalent to dismissing the need for relationship. In this day and age I have actually heard, “People today should be thankful they have a job in this economy.” I can assure you, in no way, shape or form is this leadership. In my experience, leadership is charting or changing the course to take a stand for unity. It’s so much more about finding leadership within that will get the work out and the consistent cash flow in. And fast. It is Mindfulness + Self Awareness + Social Awareness + Self Management. Self-Awareness is showing up on time with empowering energy, and general concern for everyone’s time and experience while they are with you. Social Awareness is supporting your team, showing up focused and present, keeping your word and taking full responsibility for how you show up in the world. Self-Management is showing up prepared, projecting onward motion, without an unstable tone combined with tension demands. Even though most leaders are active, you don’t want to come off harsh, with a self-serving need to push your own agenda. The minute you become disengaged and start pointing at them, you resign from being a leader. Leadership is not strength or force. It is not based on “old school” thinking that smart is good enough and that great leaders are tough and can always muscle through – no one can sustain continuous strain. It is not survival of the fittest. Leadership does not manage from a place of control – team has to go along to get along and must stay in the box built. It is not from a place of personal position – sway whichever way, defer decisions or create fear based on authority. Leaders have an ability to get people behind one another and bring out the best in each of them. They identify their own weaknesses, and provide solutions to increase efficiency and productivity. Never “Here’s what’s wrong, now solve it or we’ll be having a different conversation.” They are very much “part of.” They have the ability to be the manager and make sure that tasks are getting completed, with an empowering leadership element in that. It usually is very difficult to be manager/leader at the same time, but true leaders can accomplish this at all times. They can verbalize the “hard” things to say, even when it hurts, because they are accurate and necessary for the growth and success of the company and the individuals in the company – even when they can’t see it. A leader is loyal and committed, with a reassuring way that permits people to let go of panic and trust in themselves to accomplish their goals. A leader has the ability to help individuals sort through a tremendous amount of information and put them on a path of clarity and direction, with specific short-term steps that lead to long-term success. You know you have great leadership when you have engaged employees who are innovative and empowered to get the job done while never being afraid to use their voice! The United States military is rife with history, tradition and ceremony. Veterans Day is a day to celebrate the honor of all prior service members who devoted a part of their lives to our country, some sacrificing it all for our freedom. Although America’s first war requiring an assembly of military members was the American Revolutionary War from 1775 – 1783, it was not until a year after the end of WWI that Armistice Day was proclaimed by President Wilson because a year prior on the 11th hour of the 11th day of the 11th month fighting ceased when an armistice between Allied forces and Germany went into effect. It was thought the annual anniversaries would be celebrated with parades, public meetings and a brief closure of businesses at 11:00 on November 11th each year. “Whereas it is fitting that the recurring anniversary of this date (November 11, 1918) should be commemorated with thanksgiving and prayer and exercises designed to perpetuate peace through good will and mutual understanding between nations; …” Twenty-seven states had already made Armistice Day a recognized holiday, which was formalized by the Act of 1938. Since Armistice Day only honored service members from WWI, recognition of veterans serving in WWII and Korea became an interest. Thus, in 1954, Congress amended the Act of 1938 to change the word Armistice to Veterans to honor American Veterans of all wars. Lawyers with Purpose and Lawyers for Wartime Veterans thank you for your service and sacrifice to our great nation. Doing the workshops has been very helpful to us. The workshops are easy to fill and have been well received. The greatest tool is that the tools work together - the Vision Clarifier and Med Qual Worksheet are wonderful tools! Joining LWP has created positive energy and a renewed enthusiasm for the practice of law here at our office. LWP has been a life saver for our practice. We were burned out and stressed out after doing litigation for several years. We have been trying to get into Elder law and Estate Planning. LWP has given us the systems, support and knowledge we needed to speed up the conversion process. If A Spouse Is Ill But A Veteran Isn't, Can A Couple Still Get Aid & Attendance? No. While the veteran is alive, the claim is the veteran’s. In cases where the Veteran is over 65 and healthy, but the Veteran’s Spouse is ill, the best that the couple can qualify for is the base pension amount. When determining which level of benefit that would be awarded, whether improved pension, housebound, or aid and attendance, the VA will look at the health of the Veteran alone. The health of the Spouse does not matter. Assuming a Veteran over 65, the Veteran meets the VA’s initial definition of disabled. This places the Veteran at the base pension level. Unless the Veteran has more medical issues, there is no eligibility for housebound or aid and attendance. Again while the Veteran is alive, the health of the Spouse does not matter at this point. But once the initial level is determined and eligibility is established based on the health of the Veteran, the fact that the Spouse resides in an assisted living is relevant for the income eligibility test. Currently a Veteran and Spouse can receive $1,380 / month in Veteran’s Benefits at the base pension level. If the Veteran and Spouse’s combined income exceeds this amount, they do not qualify unless their medical expenses outweigh their income. It is at this point that the Spouse’s assisted living expenses become relevant because the expenses are used in making the income eligibility determination. In order for those expenses to be an approved medical expense, the spouse needs to be examined by a doctor and a form 21-2680 must be filled out and turned in along with the application. While the form 21-2680 is entitled “Examination For Housebound Status Or Permanent Need For Regular Aid And Attendance” and is primarily used to establish housebound or aid and attendance if filled out for the veteran, it is used to help verify the spouse’s assisted living costs as a valid medical expense, not turn in a housebound or assisted living claim for the spouse. Once the medical expense is established, the assisted living costs can then be offset from the Veteran and Spouse’s joint income in order to try to meet the income eligibility test. Sitting in the airport restaurant next to the gate for my flight home, I was physically exhausted after two weeks of travel, but mentally I was pumped! While I was excited to go home to my family, my mind was spinning as I was forced to sit still for some time while waiting for boarding to begin. Grabbing a notebook from my bag, I began reflecting and “dumping down” all my takeaways. I wanted to be sure to capture all the things I knew I needed to work on to “knock it out of the ball park” for the final two months of 2014. Below are my top five takeaways after spending a week of legal technical support training, marketing, coaching and team training with our members. The members and their teams always inspire me so much with their focus and commitment to put their heads down and work hard with their teams to reach the goals they declare on their Money Plans. Two and a half days on Medicaid planning, asset protection, Veteran’s benefits, marketing your practice and every question asked along the way in Practice With Purpose. Every moment was about the best approach to serving clients in the most effective way, while members added to their growth and understanding of estate & elder law planning. Case studies were analyzed that probably mirror those sitting on attorney desks awaiting each attorney’s return. The arrival of the members and their teams on Wednesday for our highest attended Tri-Annual Retreat ever. Attorneys and their teams started to trickle into the hotel and everyone hugged each other. There were a few handshakes but most were hugs. 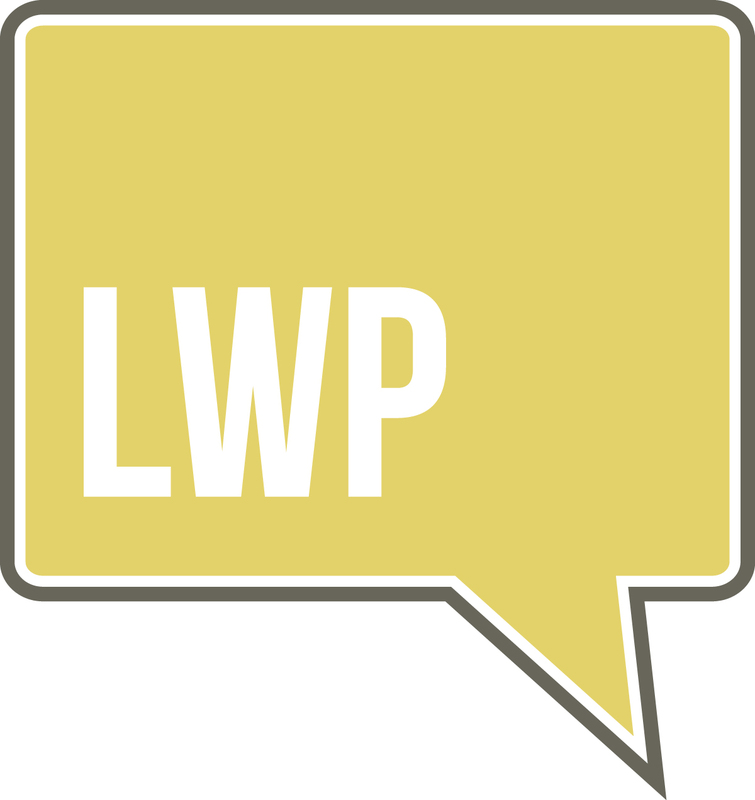 The LWP membership is a national group of attorneys and team members who hug when we see each other. We know each other and grow together. This warms my heart. You’ve Defined Roles, Now What? Firm Retreats. We kicked off the firm retreats with each firm sharing a win since the last retreat in Orlando. The shares were all HUGE in my personal opinion. A common theme was that they all had more than one thing to share – but since we were limited to one – it was hard to decide which one to share with their mic in hand. So much building and growing toward the practice of their dreams had happened. The Why Coaching Day. Breakthroughs from The Why Coaching Day were kicked off by Dave with a high level overview of every single conversation we’ve had in the Why program since Day 1, January 29, 2013, just 21 months ago. Going through the activity of “Where were you ten years ago?” to putting down “How you can be now to assure a future and present you love!” My favorite share came from a team member who said that she’s doubted herself as a “leader” in the firm but now has 100% confidence that she IS and WILL be a leader in the firm – all said with tears in her eyes (and mine too). It felt as though the focus in the room was completely on point. After being on implementation calls this past week with so many of our members, I know one thing for certain … there is a level of focus and determination among our members I’ve not seen before. Drive, determination and commitment to “hitting it out of the ball park” for the future was defined for members both personally and professionally. I can’t wait for the February 2015 shares in Charlotte. Roslyn Drotar - Lawyers With Purpose, Coaching, Consulting & Implementation, Marketing & Social Strategist.